Ill be honest, I dont really go trekking or climb mountains a lot but when I do, I always see to it to make the best out of it. I may not be a professional climber but I do know the basics and I always practice safety. 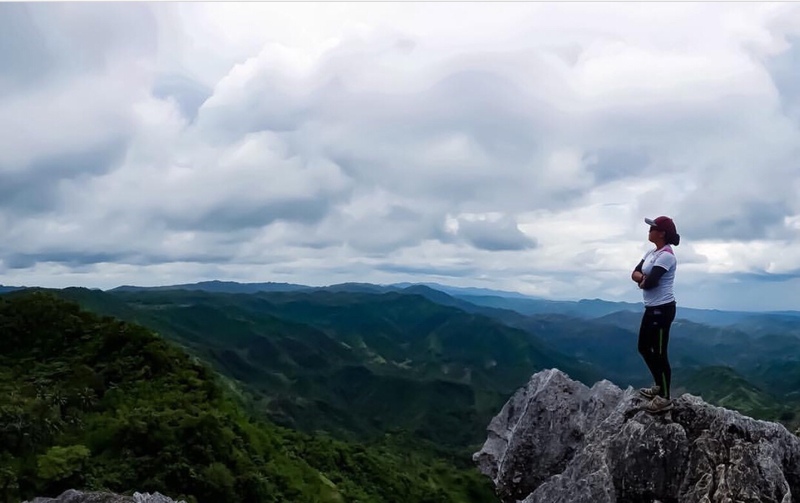 In this particular adventure thou, I was lucky enough to be trekking with one of the best trekkers there is in Cebu, and ill forever be grateful. For the chance and guidance they provided all through out the experience. I must say, I was pretty much psyched to be climbing one of the highest mountain peak in Cebu and quite scared at the same time. But it all turned out fine, we may had experienced some bumps but nothing much that we cant handle and the event was a big success. Sure we do have some points to consider improving but overall it was an experience of a lifetime. 4.30am: Wake up call prepare breakfast per group. 6.45am: Meet the Driver with our Permit. The trail started easy, it was just like walking in the park but it gotten really hard with our backpacks and the heat of the sun. That’s where the lightbacking comes in places, never really bring stuff that aren’t necessary it’ll serve as a deadweight. (Not a big idea to bring lots of stuff). The summit thou, it took my breath away! Quite literally but its really nice to have such exeperience. Some peaks are easy to reach, this one is not one of them. You have to climb your way up through the stone wall (cliff if not with trees that surrounds it). It was really challenging and nerve wrecking. But once I get to the top, it was really worth it. The view was so amazing, 360 degree view of the north, I was in awed for a couple of minutes. Not everybody gets to see this amazing creation, right at that moment I felt really blessed and humbled, and realized how such small space I occupy in this big big world. But that specific moment, I was on top of it, and I couldn’t be anymore prouder.